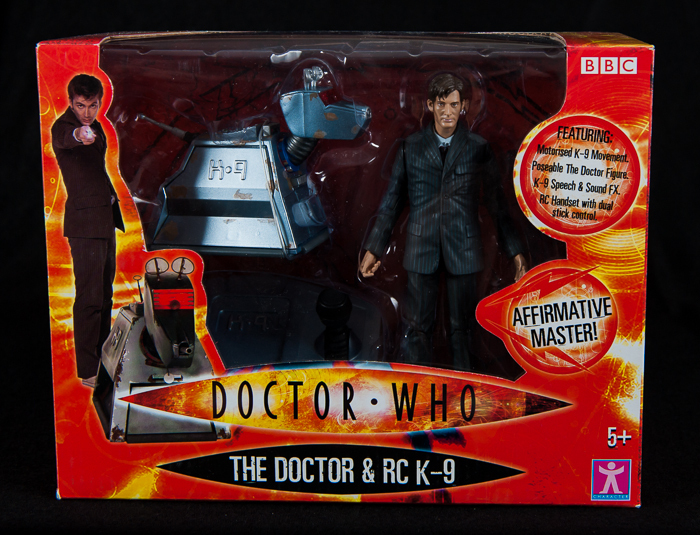 This is the rusty K-9 version and is still factory sealed. An impossibly old and wise being, he is the last of Boekind, rumoured to have lived for billions of years. He and the Doctor have met twice, on their second meeting the Face of Boe promised they would meet again, whereupon Boe would impart a final, great secret to a traveller who was also the last of his kind. When that third meeting occurs, Boe is using his life-force to keep the city of New New York powered and the Doctor must find a way to help his old friend survive. 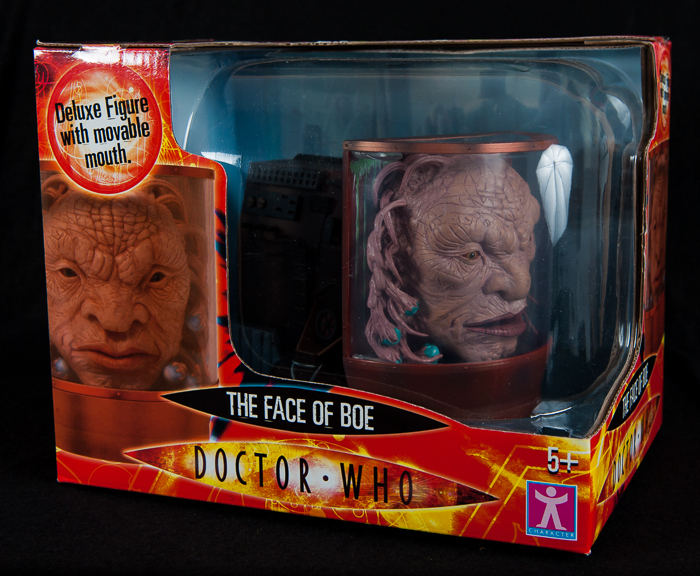 This deluxe Face of Boe figure is approximately 5" (12.5cm) tall, and features a movable mouth. This is the very first package version that was released which is no longer available and is still factory sealed.